What are the 2019 festival dates? Where can I find a Festival program? Our full program is available on the website and can also be downloaded as a pdf. Paper copy programs will be available at selected Cafes and at the Visitor Information Centre in Queen Street Mall and inserted into the Courier Mail on Saturday 9 March. How can I be kept up to date with information on the festival? You can join our mailing list here and follow us on Facebook. How do I know which events are suitable for family, students or are free? On the website go to Events – Program 2019 and filter your event search by clicking on the relevant button. What is the difference between a Salon and a Conversation? Why is there only group bookings for some events? Can I book a single ticket? These events are part of our education program and are for school bookings only. Can I purchase tickets to the World Science Festival Brisbane events in person at the Queensland Museum Box Office? Yes.  Tickets for the free ticketed WSFB Queensland Museum events can be purchased in person from the QM Box Office. All other tickets can be purchased from the QTIX and Cremorne Theatre box offices at QPAC. Where can I find out more about ticketing? I can’t attend an event anymore. Can I exchange my tickets or get a refund? Once confirmed, your ticket and any transaction fee will not be refunded or exchanged, except as provided for in the LPA Code or as required by law (including the Australian Consumer Law). Please see conditions of sale here. Are there waiting lists for sold out events? For free ticketed events you can come on the day and ask one the Volunteers at the venue. There is no guarantee but some places may become available. How do I purchase a ticket for the NASA Exhibition at the Queensland Museum? Tickets can be purchased on the Queensland Museum website here or in person at the QM box office. Is there a map of Street Science and the Festival? Yes. Please see the printed or pdf program. Hardcopies will be available on the weekend during the festival at the information booth. Will I see the turtles hatching at The Hatchery? You may see the turtles emerging from their eggs and you will see the newly emerged hatchlings in their incubator. Approximately 48 hours after hatching they are transferred to a tank where you can see them up close and swimming around. I am running late for a ticketed event. What should I do? On arrival at your venue, let one of the Front of House Officer know who will then let you enter at an appropriate time. Please note that some of our events do have a lockout period. See specific events for details. Are there recordings or podcasts available of the events? Yes. ABC Radio National records several events for future podcasting. Check the radio national website for details. Is there WSFB merchandise available at the festival? Yes. Merchandise will be available during the festival the Queensland Museum Store and the Pop-up store at Street Science. Can I bring my own lunch to Street Science? Yes. You are welcome to bring your lunch to enjoy and relax in one of our chill out areas at Street Science. However, please note that alcohol is not allowed unless purchased and consumed in licensed areas. Can I volunteer for the World Science Festival Brisbane? Thank you for your interest but applications have now closed for the 2019 festival. Sign up to our mailing list to hear about our 2020 volunteer call out. Yes, but filming and photography will not be allowed during performances, panels and talks. Do you have guided tours of the Festival space? There are no guided tours, however there will be volunteers working as way finders throughout the Cultural Precinct. They will be able to assist with general enquiries about activities, locations, programs and maps. I have hearing difficulties; can I still enjoy the festival? Queensland Museum – Written representations of QM’s permanent audio visual presentations are available from Visitor Services (Level 2) and the Discovery Centre (Level 3). Queensland Museum Lecture Theatre – QMLT has a hearing loop – A hearing loop is a special type of sound system for use by people with hearing aids. The hearing loop provides a magnetic, wireless signal that is picked up by the hearing aid when it is set to ‘T’ (Telecoil) setting. QAGOMA – An infra-red hearing loop system is installed in the Australian Cinémathèque at GOMA. Can I bring a pram or stroller? Yes, you can bring a pram or stroller to most of Festival’s activities. However, due to crowds we recommend using the allocated pram stations* located on the Cultural Forecourt and at Queensland Museum. Prams are not allowed inside venues during performances, talks and panel discussions. *Limited availability. Please do not leave valuables in unattended prams or strollers. Are there venues that are wheelchair accessible? Yes. All of our indoor venues are wheelchair friendly. The volunteers and staff will be able to assist with accessing the venue. Pre-purchased tickets can be collected from all venues before your scheduled event or via the print at home service. Limited tickets are available for purchase at the venue unless the event is sold out. Please phone 136 246 as soon as possible. In most instances QTIX will be able to replace your tickets so long as you retain proof of purchase. The theft of tickets should be reported to the police. Please note: General Admission tickets will not be replaced and proof of ID and concession are necessary to collect tickets. How can I buy a ticket if I don’t have an email address? Tickets can be purchased by telephoning QTIX Box Office between Monday to Saturday, 9am to 8.30pm (AEST). How do I get a ticket if I don’t have a credit card? Tickets can be purchased in person from QTIX. The QTIX Box Office is located at Level M, QPAC, Cnr Grey and Melbourne Streets, South Bank from 9am to 8.30pm, Monday to Saturday. QTIX accepts cash and Eftpos, as well as most credit cards. Tickets can be purchased in person from QTIX, Queensland Museum and all WSFB venues. All box offices accept cash and Eftpos, as well as most credit cards. Be captivated by Brisbane’s rich chemistry. From eclectic bars to fine dining, and breezy cafes to boutique-lined streets, explore the beautiful parklands, bohemian markets, enticing galleries and bustling urban precincts, each with its own unique vibe. The World Science Festival Brisbane joins an extensive calendar of major events in Brisbane, from international sporting fixtures to blockbuster shows and exclusive cultural events. Embrace your inner style and grace at a Queensland Ballet production, sing along to your favourite musical at the Queensland Performing Arts Centre and see blockbuster exhibitions at Queensland Museum, State Library of Queensland and Queensland Art Gallery/Gallery of Modern Art. To find out where else you can eat, drink, shop, stay and play, go to visitbrisbane.com.au. Looking to explore further afield while you’re in town for the Festival? Visit www.queensland.com. Our Festival Volunteers will be easily recognisable in red World Science Festival Brisbane t-shirts and lanyards. A whole team of helpers are on hand to answer your questions and direct you to venues. Connect with the festival, stay up to date and share your highlights using our dedicated World Science Festival Brisbane social media channels: Twitter, Instagram, Facebook, using our official hashtags #WSFB2019 #WSFBrisbane and #qldmuseum. Visit the Festival Pop-Up Shops for books, mementos, science-themed toys and other festival related merchandise. Shops are located at all major venues. Additional parking is available at the Brisbane Convention and Exhibition Centre. Entry via Grey or Merivale Streets. Public transport – The Museum and Festival events are in TransLink Zone 1, within walking distance of South Brisbane Railway Station, Cultural Centre Busway station and South Bank CityCat and Ferry terminals. For more information on travel times visit www.translink.com.au or call TransLink on 13 12 30. Airtrain connects travellers with Brisbane Airport, Brisbane City and the Gold Coast. The Museum and Festival events are within walking distance of South Brisbane Railway Station. Head to airtrain.com.au to book your tickets. On foot – The Festival is located across the river from the Brisbane CBD at the Cultural Precinct and South Bank. Check the event details on your ticket to locate your venue. CityCycle – Collect a bike from one of 150 CityCycle stations across Brisbane and ride to South Brisbane Railway Station (Grey Street) or The Wheel of Brisbane (Russell Street). Travel by bus – Murrays Coaches operate daily services between Miles, Chinchilla, Dalby, Toowoomba to and from Brisbane and Brisbane Airport every day. Web fares available online. More questions? Get in touch with the Festival team here.